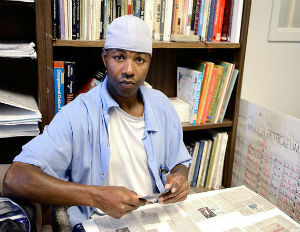 The Wall Street Journal says 35-year-old Curtis Carroll, who is African American and doing 54 years to life for murder, is now being called, “The Oracle of San Quentin.” He’s been selecting stock and giving winning investment tips at California’s oldest and best known correctional institution. Journal also reports that Carroll’s interest in investing goes back more than a decade, but his influence has grown since 2012, when he was transferred to this prison. He has turned dozens of people into “clientsâ€ who take his advice— including non-inmates who volunteer at the prison. To check out more of Carroll’s story byÂ Catey Hill click here.